Organic golden roasted cashews milled with cold pressed sunflower oil. 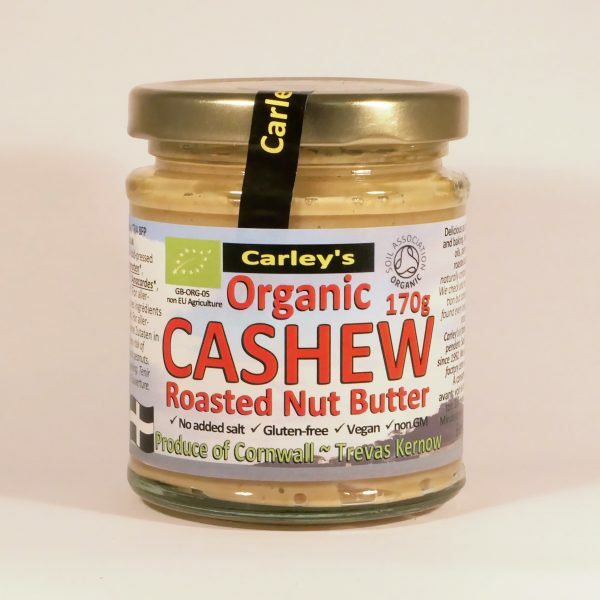 Organic golden roasted cashews finely milled with a tiny touch of organic cold pressed sunflower oil to ensure spreadability. 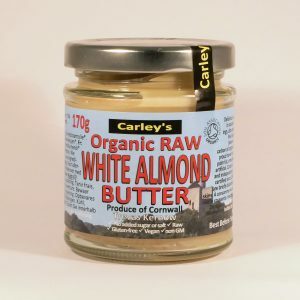 Incredibly nutritious and delicious and great for baking too or try some added to a curry for creamy no added dairy flavour. 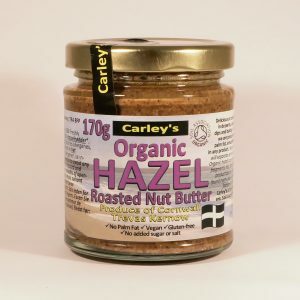 Our nut and seed butters, are great for coeliacs or those who follow a gluten free diet. 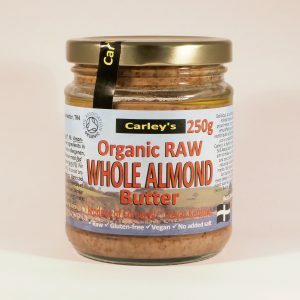 As we know from making them, some gluten free recipes can be dryer than gluten containing versions, add a dollop of a Carley’s nut butter and moist cakes and bakes reign supreme again!